DANCE COMPANY OFFERS ADULT DANCE & FITNESS CLASSES, PERFORMING ARTS, DANCE SCHOOL FOR CHILDREN & YOUNG PEOPLE, AND STUDIO HIRE. 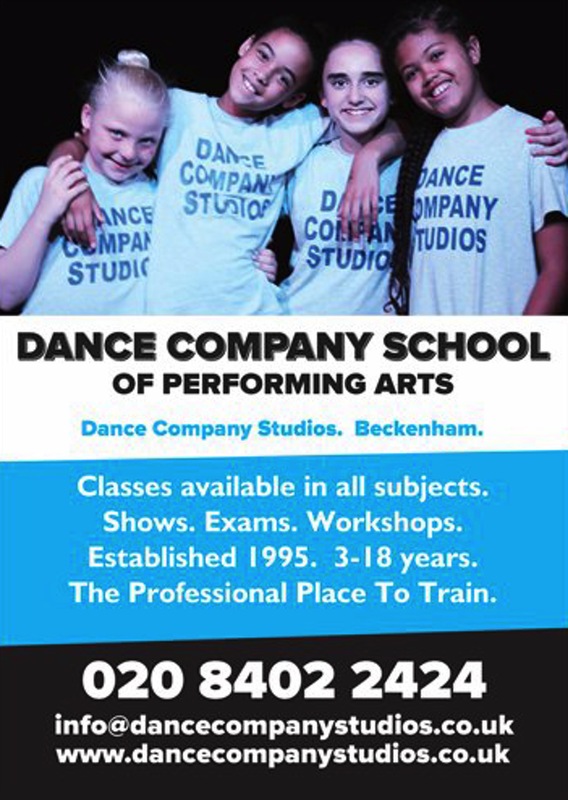 DANCE COMPANY STUDIOS TOP QUALITY PROFESSIONAL STUDIOS ARE AVAILABLE TO HIRE FOR REHEARSALS, AUDITIONS, WORKSHOPS, CLASSES, PHOTO SHOOTS, PERSONAL TRAINERS AND OTHER FUNCTIONS. THE STUDIOS ARE ON A BUSTLING HIGH ST SURROUNDED BY CAFES AND SHOPS. 3 NEW PURPOSE BUILT SPACES ALL WITH SPRUNG FLOORS MIRRORS AND BALLET BARRES. CLIENTS INCLUDE BBC, ITV, NMC, CELEBRITIES AND VARIOUS WEST END SHOWS AND COMPANIES. ADULTS CLASSES INCLUDE ZUMBA, PILATES, BALLET, YOGA, FITNESS, STREET DANCE, TAI CHI, PERSONAL TRAINING, AND MANY MORE ! PERFORMING ARTS DANCE SCHOOL FOR CHILDREN & YOUNG PEOPLE, INCLUDE BALLET, MODERN, TAP, PILATES, POINTE WORK, STREET DANCE, JAZZ, CONTEMPORARY, SINGING, DRAMA, PRE SCHOOL AND BABY BALLET AND TAP. HOME TO CREATE PROJECTS STUDIO, A REGISTERED CHARITY ENGAGING CHILDREN & YOUNG PEOPLE INTO THE ARTS.